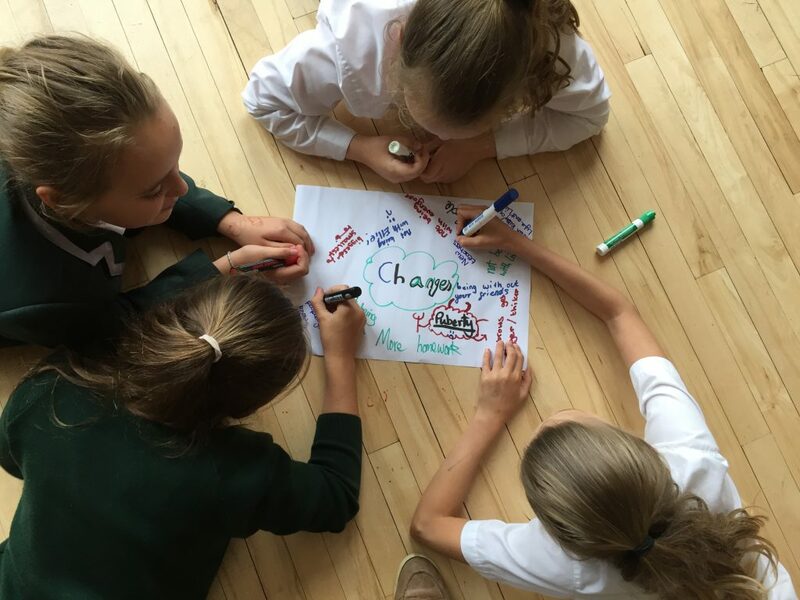 During the last term of the school year our Schools team have been delighted to offer the schools of Brighton and Hove a lesson for year 6 leavers. The programme was written by our Schools Team Leader, Kerry, whilst undertaking her degree in Youthwork and Applied Theology. Kerry and her former colleague, wanted to complement, and named the session after, the booklet by Scripture Union called ‘It’s Your Move’. Having finely tuned the lesson over a number of years, Kerry, Lloyd, and Emma really enjoyed engaging with those moving onto secondary school across the city. Over the course of the last 6 weeks they have visited eleven schools and presented to over 450 year 6 children. The teaching staff that were present thought that it was a very worthwhile time spent with their pupils and a majority of those who responded to our feedback overwhelmingly thought it was age appropriate. The session included looking at fears and phobias, changes, a game show, a Bible character that faced change, interviews, and the favourite dilemmas! We really hope the elements of the session will help the children move from Primary to Secondary and support the transition that they will soon make. 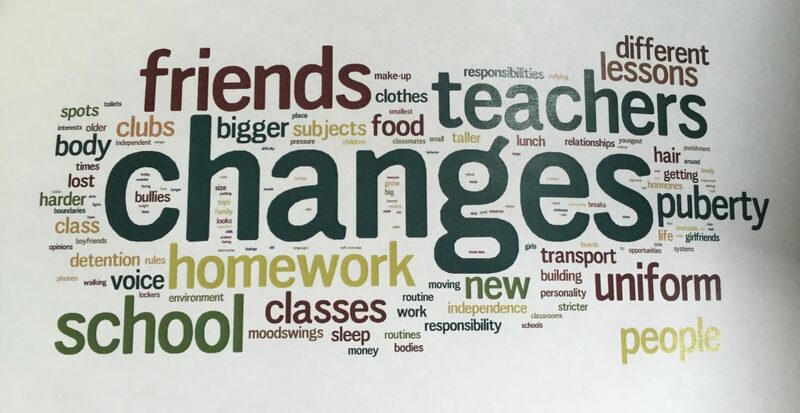 One of the parts of the workshop was to ask children to make a ‘Wordle’ of the things that will change for them, we have collated all of the answers and the results are attached. If you are interested in supporting your local school and would like to come along to any of our training days go to http://www.bhcm.org.uk/training/schoolsworktraining or email schools@bhcm.org.uk. This week we have been joined by two fantastic work experience students, that are currently studying at St.Pauls Catholic College. Over the week they have got exposure of how our organisation functions, getting a look at how the Schools team, the Brighton Food Bank and Life Stream work. We asked them how they found working with us for the week. 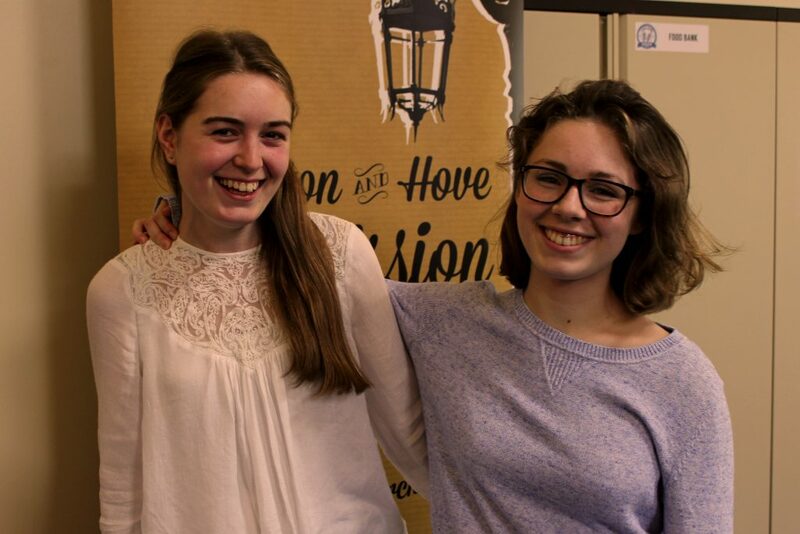 We would like to say a massive thank you to them both for their hard work throughout the week!